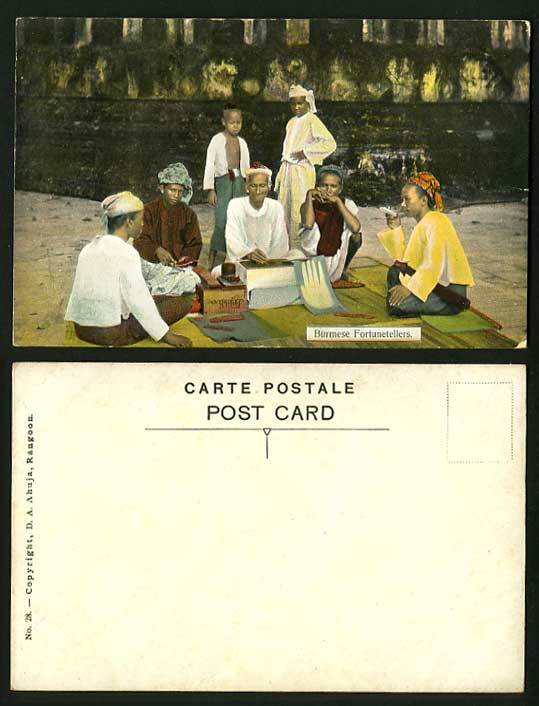 ETHNIC 1912 Early Myanmar Colour hand tinted Picture Post Card, Natives. Burmese Fortune Tellers. Children, Boys.